These two animals, very popular in the network of networks, continue traveling throughout Spain with their owners. Sometimes we have seen groups of several tens or even hundreds of pilgrims completing the Camino de Santiago at the same time, but what has transcended today through networks has surpassed everything seen so far. 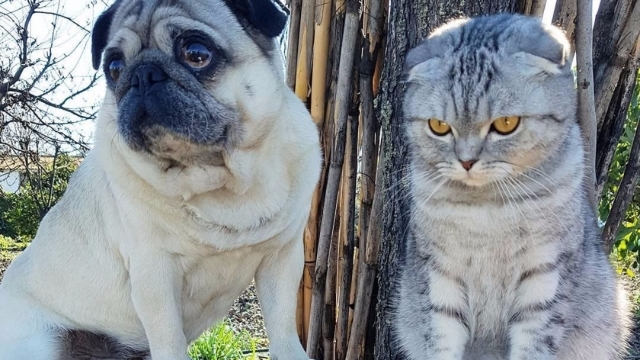 Today we speak of Bandito and Luigi, a dog and a cat that have managed to have a huge virality through the network of networks. Obviously, they do not get it alone, but their owners are responsible for giving pets virality. The way to do it is through an account of Instagram, in which are published several images of these two famous animals, which have a very special characteristic: do not fight. So much so that in the company of their owners, Bandito and Luigi have already traveled Spain from one end to another, managing to finish the path of Santiago without even fighting once. 46 days has led Bandito, Luigi and their owners to finish the Camino de Santiago starting from Navarre, but also their journey is not over, but continue to travel through the Iberian peninsula, passing through natural sites such as Sierra Nevada or the Montserrat massif. Currently the owners of these two animals, Finn and Seb, plan to publish in the coming months an illustrations book aimed at the younger. Of course, the phrase "behave like the dog and the cat" has an exception that confirms the rule.